You’ve graduated from school and have joined the working world. Congratulations! To help you make the most of your paychecks, here are a few simple tips. Since time is on your side, building good financial habits in your twenties can lead to greater financial satisfaction in your future. A budget can help you stay on track with your savings goals. You’ll want to begin by adding up the income you make. Then subtract your expenses, which include any debt you have as well as rent, utilities, your car payment, etc. Using the remainder, you can put together a plan of what to do with the money you have left. You can also determine if you need to/want to cut expenses, which could be done by packing a lunch, living with roommates or your parents, or picking up additional work on the side. Having too much debt can hurt your credit score and interfere with you achieving your financial goals. If you’re able to, consider paying extra on your debt, and more than the minimum payment on credit cards. Even better, pay off your credit card bill every month. When you’ve just started working, retirement sounds years away. While it is, you should take advantage of the fact that time is on your side by beginning to save now. Many companies match retirement plan contributions, which is free money you shouldn’t pass up. 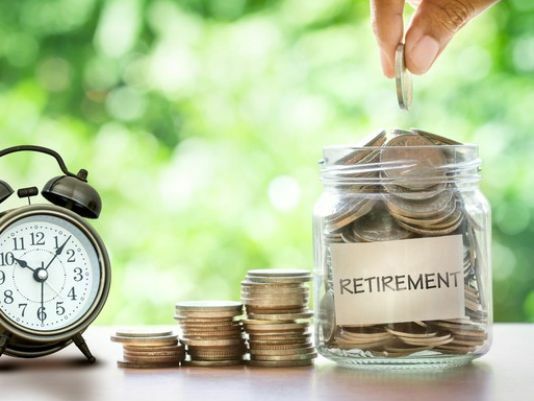 And as you can see from the chart below, waiting just a few years to begin saving can significantly decrease the amount of money you’ll have when you’re ready to retire. It’s important to note the difference between saving versus investing. Saving is putting money aside in a low, fixed interest rate savings or money market account, perhaps for an emergency. It’s just one part of your financial strategy. Investing is using your money to potentially create more money over a period of time. While investing can carry risk, not investing can also be a risk to your financial future. Whether you invest in your company’s plan or outside of it, it’s important to get started as soon as possible. A financial advisor can help you manage your money. He or she will work with you to understand your investing goals and investing style. While you might be doing research on your own, working with a financial advisor can help you understand the broader picture. Together, you’ll be able to develop a plan to help you achieve those goals.